Like most people in the wedding industry, I was completely and utterly engrossed in the Royal Wedding on Saturday. I had a wedding booking for the morning, but recorded the live coverage, avoided TV and social media all day long until I returned home and didn’t move from the sofa for the next few hours. 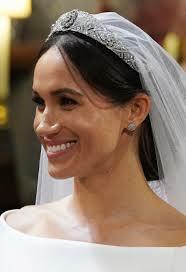 As the first official wedding photos are released and we finally get a proper glimpse of what was under that veil, I thought Id share my opinions on Meghan Markle's wedding hair, created by French stylist Serge Normant. If I am honest, I actually cringed a little to begin with……..I was shocked, there was a strand of hair sweeping slightly awkwardly across her forehead. I didn't understand why there would be a hair out of place. However, as the service started and her gorgeous dewy, minimal makeup was revealed I began warming to the imperfections. They made Meghan appear relaxed and normal. It complimented the clean lines of the dress, and subtly broke with tradition, much as the ceremony also did. 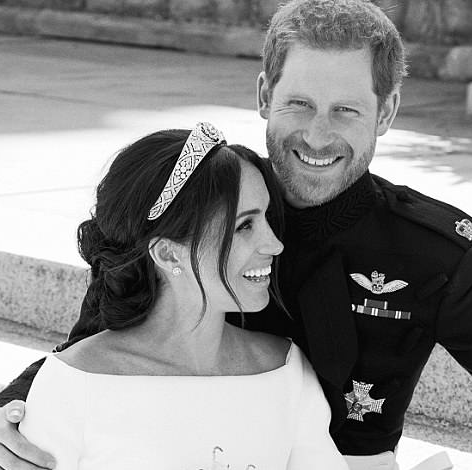 By the time she was kissing Prince Harry on the steps, I loved every part of this up do. Tendrils had fallen loose around the face, curled just the right amount, softening the look and giving it a modern feel. Serge Normant cleverly created something that started off neat and loosened as the day progressed. I cannot wait to get a more detailed look at the chignon but, sitting low into the nape of the neck, with little or no volume around the crown and a centre parting, it certainly seems like a style that is wearable for many brides to come.